Start off your visit on the 28th (Fri): explore the striking landscape at Vancouver Seawall. Here are some ideas for day two: stroll through Stanley Park and then take in nature's colorful creations at VanDusen Botanical Garden. To see reviews, ratings, photos, and more tourist information, you can read our Vancouver trip planner . Amritsar, India to Vancouver is an approximately 19.5-hour flight. You can also do a combination of train and flight. The time zone changes from India Standard Time (IST) to Pacific Standard Time (PST), which is usually a -13 hour difference. While traveling from Amritsar, expect colder days and a bit cooler nights in Vancouver, ranging from highs of 7°C to lows of 2°C. Cap off your sightseeing on the 30th (Sun) early enough to catch the flight to Victoria. 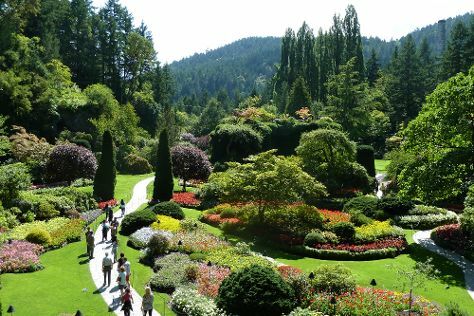 On the 31st (Mon), make a trip to The Butchart Gardens, then explore and take pictures at Beacon Hill Park, and then take an unorthodox tour of Craigdarroch Castle. To see more things to do, maps, ratings, and tourist information, use the Victoria day trip site . Traveling by flight from Vancouver to Victoria takes an hour. Alternatively, you can do a combination of ; or take a bus. In December, daily temperatures in Victoria can reach 7°C, while at night they dip to 3°C. 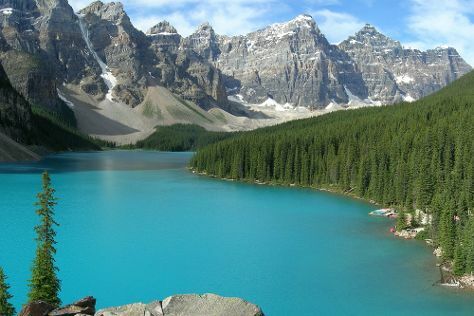 Finish up your sightseeing early on the 31st (Mon) so you can travel to Banff National Park. Kick off your visit on the 1st (Tue): get to know the fascinating history of Fairmont Chateau Lake Louise, then contemplate the waterfront views at Lake Louise, and then explore the activities along Moraine Lake. Get ready for a full day of sightseeing on the 2nd (Wed): hit the slopes at Sunshine Village. To see where to stay, more things to do, other places to visit, and more tourist information, read Banff National Park trip itinerary planning website . Traveling by combination of bus, flight, and shuttle from Victoria to Banff National Park takes 9 hours. Alternatively, you can do a combination of bus, flight, and shuttle; or do a combination of ferry and car. Due to the time zone difference, you'll lose 1 hour traveling from Victoria to Banff National Park. Expect colder temperatures when traveling from Victoria in January; daily highs in Banff National Park reach -7°C and lows reach -16°C. Finish your sightseeing early on the 2nd (Wed) to allow enough time to travel to Niagara Falls. On the 3rd (Thu), admire the sheer force of Niagara Falls, then take in the dramatic natural features at Journey Behind the Falls, and then take in panoramic vistas at Skylon Tower. To find traveler tips, ratings, reviews, and more tourist information, use the Niagara Falls travel planner . Traveling by combination of shuttle, flight, and train from Banff National Park to Niagara Falls takes 12.5 hours. Alternatively, you can do a combination of bus, shuttle, flight, and train; or drive. The time zone difference moving from Mountain Standard Time (MST) to Eastern Standard Time (EST) is 2 hours. Prepare for a bit warmer weather when traveling from Banff National Park in January: high temperatures in Niagara Falls hover around 0°C and lows are around -9°C. Wrap up your sightseeing on the 3rd (Thu) to allow time to drive to Toronto. 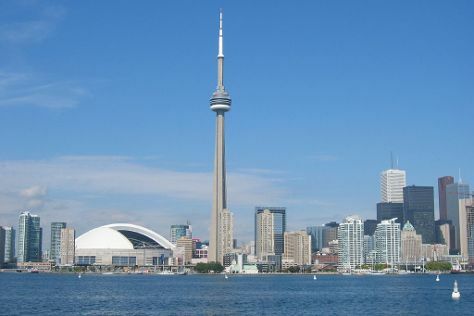 Start off your visit on the 4th (Fri): look for gifts at Soma Chocolate Maker, appreciate the extensive heritage of The Distillery District, then don't miss a visit to CN Tower, and finally admire nature's wide array of creatures at Ripley's Aquarium Of Canada. On the 5th (Sat), you'll have a packed day of sightseeing: examine the collection at Royal Ontario Museum, then explore the historical opulence of Casa Loma, and then contemplate in the serene atmosphere at St Michael's Cathedral Basilica. To find reviews, more things to do, photos, and other tourist information, go to the Toronto driving holiday planning app . Traveling by car from Niagara Falls to Toronto takes 1.5 hours. Alternatively, you can take a bus; or take a train. In January, daily temperatures in Toronto can reach -1°C, while at night they dip to -8°C. Cap off your sightseeing on the 5th (Sat) early enough to travel to Montreal. Kick off your visit on the 6th (Sun): take in nature's colorful creations at Montreal Botanical Garden, then pause for some serene contemplation at Notre-Dame Basilica, and then take in the architecture and atmosphere at Saint Joseph's Oratory of Mount Royal. On the 7th (Mon), you'll have a packed day of sightseeing: hunt for treasures at Jean-Talon Market and then make a trip to Old Montreal. To see more things to do, where to stay, and other tourist information, read Montreal trip itinerary site . You can fly from Toronto to Montreal in 3 hours. Other options are to take a train; or drive. Expect a bit cooler temperatures when traveling from Toronto in January; daily highs in Montreal reach -5°C and lows reach -13°C. 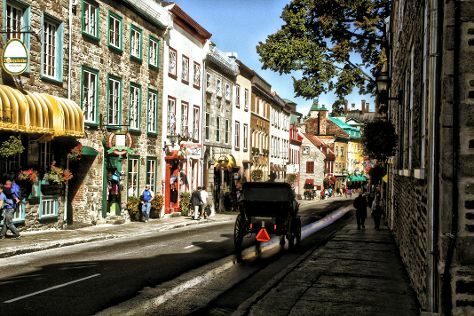 Wrap up your sightseeing on the 7th (Mon) early enough to drive to Quebec City. Start off your visit on the 8th (Tue): admire the sheer force of Parc de la Chute-Montmorency and then wander the streets of Old Quebec. Get ready for a full day of sightseeing on the 9th (Wed): pause for some serene contemplation at Cathedral of the Holy Trinity and then take a stroll through Place Royale. To find reviews, traveler tips, ratings, and more tourist information, use the Quebec City trip builder app . You can drive from Montreal to Quebec City in 3 hours. Alternatively, you can take a bus; or take a train. Expect slightly colder evenings in Quebec City when traveling from Montreal in January, with lows around -17°C. On the 9th (Wed), wrap the sightseeing up by early afternoon so you can travel back home.